An illustration of a pink giraffe eating from the trees. If your children love animals then this giraffe wall sticker is perfect for your child! 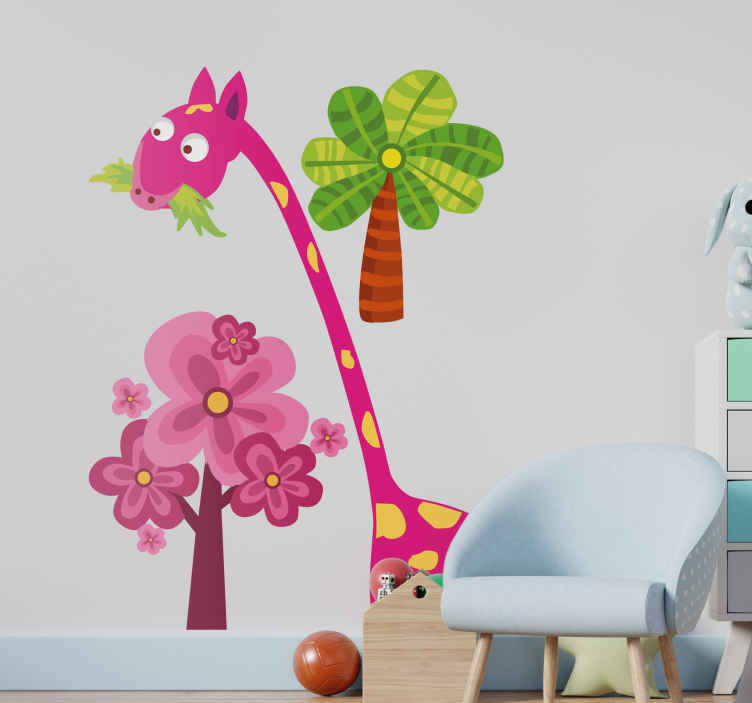 You can decorate your children's bedroom with this colourful pink giraffe decal that will provide a warm and fun atmosphere for the little ones at home. You can now give their bedroom a unique wall decoration. This pink giraffe design can be applied on any smooth surface. Easy to apply and leaves no residue upon removal.